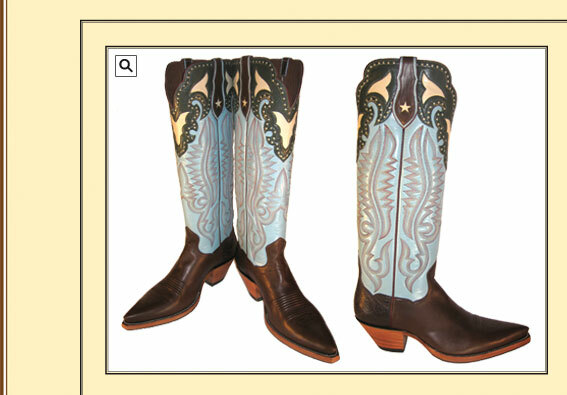 This show stopping boot has a dark brown French Calf foot & a 17" baby blue top with green inlayed collar. Shown with a 2 1/4" very undershot heel in natural stain & very narrow square toe. The 8 row multi colored stitching just finishes off the look.